More than any other resource within the Acres, Lake Eaton is used most frequently by our full-time and seasonal AAPOA members and their guests. In addition to the Lake and the hiking trail that meanders around it, there is a children’s play area, a volleyball and a bocce ball court, as well as a large picnic area. But, there was never any protection from the elements—and, as we all know, the weather can become inclement very quickly in the Adirondacks. 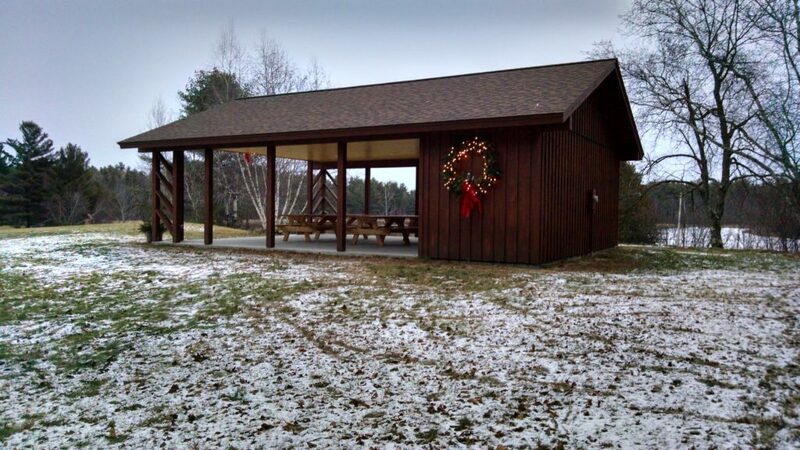 In July of 2017 the AAPOA dedicated the newly built Pavilion at Lake Eaton which now allows people to use the Lake area even when the weather is less than ideal. The funding for the building of the pavilion was fully accomplished through the generous contributions of AAPOA members—a plaque incorporating a list of those contributors was installed on the pavilion wall. It is certainly a testament to the commitment residents of the Acres have in supporting beneficial projects such as the pavilion! The pavilion is the property of the AAPOA and is for the use of all AAPOA members and their guests. Please enjoy!